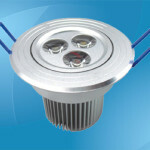 AR111 LED lights are special types of LED lights used in retail outlets, restaurants and hotels. AR111 LED lights can be used individually however they are more likely to be made and used in cluster lighting. AR111 LED lights are more efficient than Compact Fluorescent lights or AR111 Halogen lights. 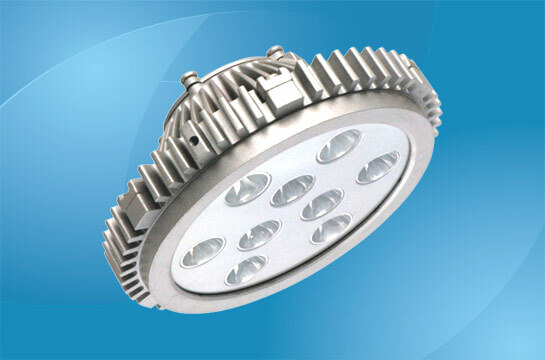 AR111 LED lights are commonly used for down lighting applications. 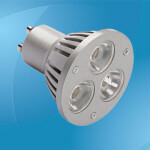 Below are some of the common AR111 LED lights for down lighting applications. The DL1 AR111 LED light offers superior down light lighting performance i.e. a lumen output of 1142 @ 700Ma and a drive current of 350-700Ma. The ambient temperature range of the DL1 AR111 LED light is between -10 and +40 degrees Celsius. 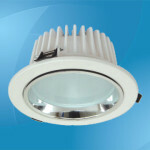 The light has an ingress protection class; IP67 and a mounting that protects the light. The light also has an expected lifetime of 50,000+ hours (5 year guarantee). 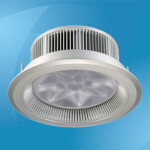 The DL1 AR111 LED light is best suited for down lighting applications as mentioned above. The DL1 AR111 light is available in a unique IP67 option specifically designed for outdoor use. Typical applications of DL1 AR111 LED lights include; office lighting, retail display lighting, workshop lighting, hotel lighting, residential lighting, bar lighting and club environments. It is important to note that DL1 AR111 LED lights come in a variety of colors for creating just about any kind of effect or mood that is desired. The 10W AR111 LED light also offers superior down light lighting performance i.e. a lumen output of 650Im and a color temperature of 3000-6000°k. The 10W AR111 offers and input voltage of 12V and an ambient temperature range between -20 and +40°C. The 10 W AR111 LED light has an expected lifetime of 50,000+ hours like the DL1 AR111 LED light. It is important to note that the 10W AR111 LED light offers exceptional high performance retrofit LED light that is better than the DL1 AR111 LED light. The 10W AR111 LED light is engineered carefully using the best advanced LED innovations. The light is also made using high quality components which ensure reliability and optimal performance for 5 years and above. The 10W AR111 light has a built in proprietary driving circuitry that helps the light to replace traditional halogen lighting. The LED light offers an effortless and easy way to enjoy LED lighting. It is important to note that the light produces very little carbon dioxide emissions therefore it is a good substitute for anyone looking for an environmental friendly light. The 10W AR111 light is also a low voltage LED light therefore it consumes very little energy. The LED light is available in either dimmable or non-dimmable ranges of different colors White color is however the most common. In summary, the 10W AR111 is among the best LED lights in terms of energy efficiency, low emissions and superior down lighting performance. The 10W Directus AR111 LED light is an exceptional high performance down light. The 10W Directus is a retrofit type of LED lights which has been carefully engineered with one of the best and most advanced LED innovations. The light is also made from high quality components which guarantee reliability and optimal performance for many years to come. The 10W Directus has a lumen output of 650I and a 3000/4000/6000°k. 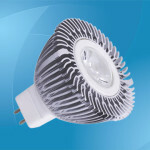 The LED light also has a constant current supply and input current of 350mA. The ambient temperature range is between -20 and +40°C. Like the 10W AR111, the 10W Directus AR111 LED also comes in the dimmable and non-dimmable beam options. The LED light also comes in a variety of colors The most common color type is white i.e. cool white, warm white and neutral white colours. The light’s built-in proprietary driving circuitry helps the 10W AR111 Directus be more energy efficient compared to the traditional halogen lights. The 10W AR111 Directus LED light offers an effortless and easy way to experience high quality down light. The LED light also offers an energy efficient and environmental friendly way of enjoying lighting because the light produced very low carbon dioxide emission. The 10W Directus applications include; commercial lighting, architectural lighting, retail display lighting, residential property lighting, gallery lighting, office lighting and school lighting.